Founded in 2004, TruHome is an award-winning mortgage credit union service organization that provides a full range of private-label services to credit unions nationwide. With its expertise, technology solutions and member-centric focus, TruHome leverages the power of collaboration that already exists in the industry to provide full-service originations, secondary marketing and servicing solutions. The company began as a business unit of a larger company, relying on their IT infrastructure and self-hosted telephony solution. As TruHome matured and grew to operate autonomously, it had a critical need to institutionalize itself as a fully standalone enterprise and that meant building out its own back-office functions. It also needed its own telephony solution, which was being managed and controlled through a parent company. Pentlin had to first convince the company’s leadership team on his approach. The company’s leaders knew they had a single point of failure in their phone system. If the phones were down, their call centers weren’t operating so they wanted to know how moving to the cloud would solve that problem. Pentlin knew that even the best telephony software would not operate well if a solid network foundation wasn’t in place. He and his team looked to SD-WAN to accelerate the decoupling from their parent company, but quickly discovered that not all SD-WAN vendors adhere to the definition of the technology itself. Originally, TruHome started down the path with one SD-WAN vendor it thought would be the safe bet to provide the call quality the company required. Pentlin liked the proposed delivery methodology, but the rollout ran into a brick wall when the solution didn’t live up to their sales pitch. After talking with the SD-WAN vendor’s engineering, it became clear that they had oversold the ease of the insertion topology and couldn’t provide the high availability that Pentlin was looking for. The vendor couldn’t facilitate TruHome’s solution the way Pentlin wanted without blowing up their cost model. What’s more, the topology would’ve forced TruHome to over design its edge network. It couldn’t provide proper high availability and introduced a single point of failure into the network. 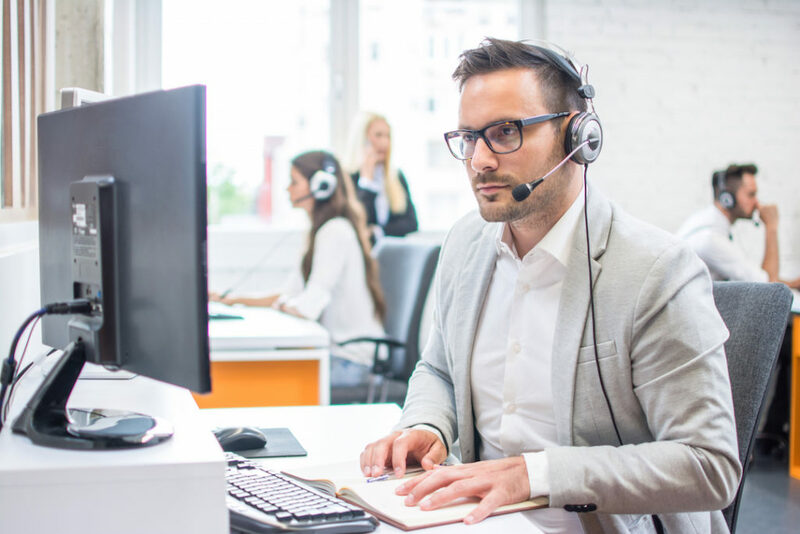 The TruHome IT team welcomed the simple network integration as their time was more valuable solving more vexing technology issues for the business, including its telephony solution. As the team started to learn the deployment model of Bigleaf, they found that the insertion topology eliminated many challenges and aligned with their timelines. Bigleaf’s unique Site-to-Cloud Architecture links TruHome’s call centers to the backbone of the Internet. They are always within a few hops from any cloud technology that they decide to use. The company’s intelligent software creates a resilient and high-performance connection utilizing readily available Internet connections anywhere that TruHome does business. Bigleaf’s Dynamic QoS feature automatically detects and prioritizes their most critical Cloud application traffic. The Intelligent Load Balancing feature ensures that those priority applications are routed over the ISP that will provide the best end-user experience. These autonomous decisions are made and implemented 10 times per second, ensuring uninterrupted application performance. Bigleaf has become business as usual for TruHome. It’s saved the company from carrier outage downtime and saved Pentlin’s team from having to work after hours in some cases.